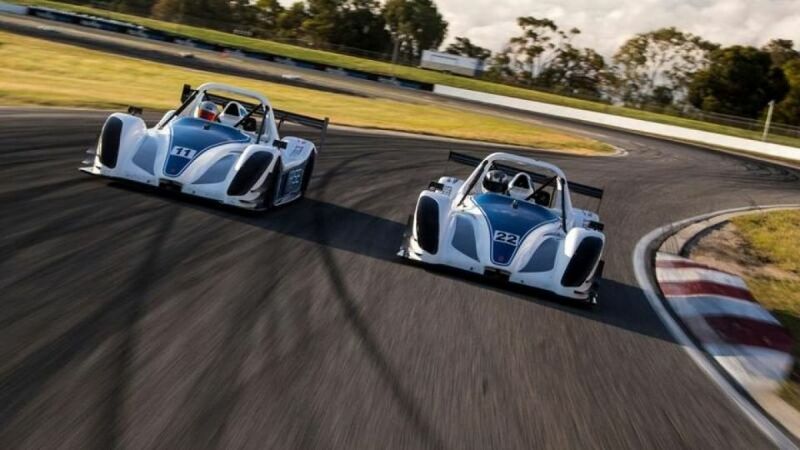 Arise Racing cars in action on the track. Still, curiosity always gets the better of me, which explains why I’m dressed in safety gear, sitting in Arise Racing’s Drivers Lounge as coach BD Soutar-Dawson takes us through our driver training. Super-thorough and well-spoken BD talks us through the racing circuit and explains the gear shifts and three-cone system that covers the brake and turn point and the throttle application at the apex. I start to question my sanity and zone out a little. Wait, did he just mention something about a string? And a glass of water? What is he talking about? What am I doing here? In the real world, I drive a car that gets me from A to B; what I know about cars would fit on the head of a pin. I force myself to concentrate. But honestly, topics such as threshold braking, weight transfer and understeering leave me slightly bamboozled.